I recently wrote about the 12 things you should do before you publish a blog post. If you followed those steps, then clicked ‘Publish', you're ready for the post-publishing phase which includes the following 7 blogging tips that will help increase the traffic your post receives. Although you previewed your post during the writing stage, once it has been published, it's a good idea to make sure everything turned out as you planned. Are all the images aligned correctly with their title tags showing up? No weird characters displaying where there should be apostrophes? 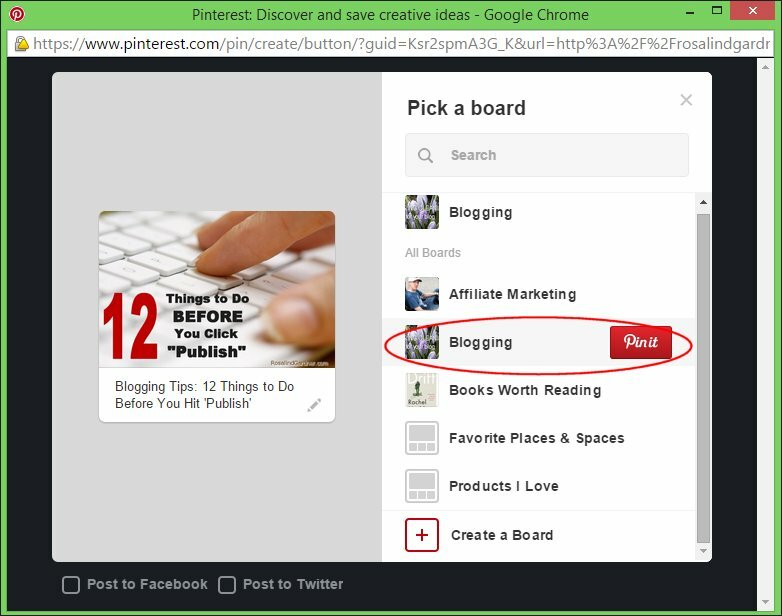 If you are using the Pinterest ‘Pin It' Button plugin (or other social media plugin with that feature), pin your image(s) to a category in your Pinterest account. When the Facebook icon is clicked, a new window pops up. I fill in the blank at the top of the window that reads “Say something about this…” with the text circled in red in the graphic below. 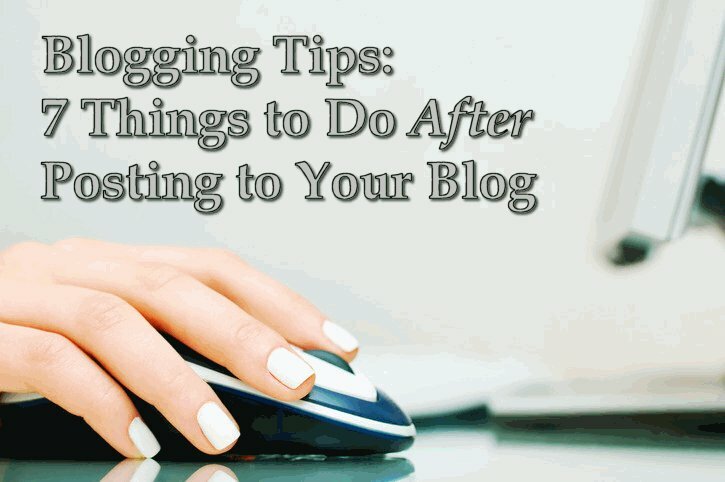 Note: I hope your imagination is better than mine and that you can come up with something more enticing to your readers than “my latest blogging tips post on …” your blog. The other social networking sites work much the same when you click their icons. That post went straight to my Facebook Page. I also visited my Facebook profile to insert a (similarly dull) comment and a link to the article there. There are actually many more social bookmarking sites to which you could post, but this list covers the major entities. As it is, I don't even bother with the latter 3 in the list. Hopefully by the time you've completed your social media sharing / posting duties, the first readers' comments or questions will be showing up in comment moderation. Reply to them as quickly as you can. Seeing comments posted by other readers should inspire others to add their own; and when it comes to comments — the more the merrier, unless of course they are spam comments. Be NOT fooled by the position of this item in the list… Email marketing is the most important step you can take to get traffic to your blog over and over and over again! Create a new broadcast message to schedule and send to your subscribers — unless you have blog broadcasts setup with your autoresponder service (Aweber). If you are working to a blogging schedule, you can set up your email message in advance and schedule it them to be sent anytime in the future. 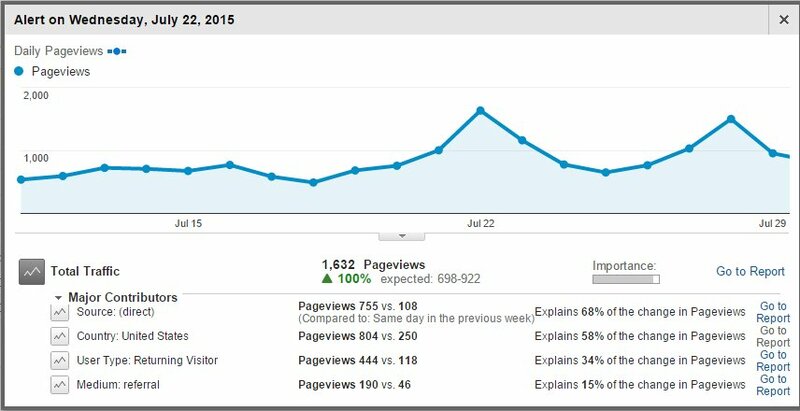 Over the next week / month check to see how much traffic and how many sales your latest post generated and where most of your visitors originated. Did some tactics have a much greater effect than others? Did most of your visitors come via the search engines, social media marketing or your email newsletter? Were they new or returning visitors? How long did they stay on your site? Did they just view the article and then bounce off the page to another site, or did they dig deeper into your blog through the internal links you placed? differs from one week to the next. Take note to make improvements where request and repeat those actions that succeeded particularly well. Did you enjoy this article? Please share it with others! 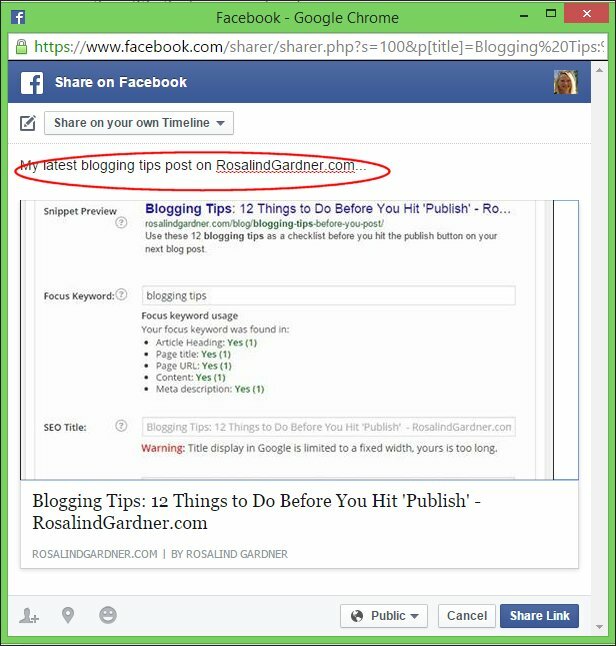 If you have a comment or question about these blogging tips, please leave a comment below! weber.com sales dept suggest to be successful, WordPress.they have more do’s and don’ts.it is confusing. opinion is just that quality, level. as far as email list.still not impressed with that method.that list making is too time consuming. What I believe I hear you saying is that email marketing is either too time consuming, too expensive or both. I’m not sure how paying $20 per month or taking an hour (at the outside) to set up an autoresponder widget can be either when the benefits are so enormous.